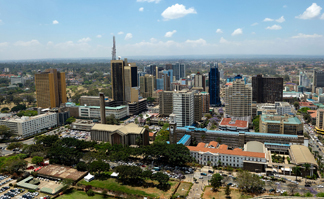 Your flight of Ethiopian Airways departs from Mumbai at 1100 hours and reaches Nairobi at 1835 hours via Addis Ababa. On arrival pick up and transfer to hotel. Dinner and overnight stay at Four Point by Sheraton Hotel. Check out after breakfast and drive to Ol Pejeta ranch, this luxurious tented camp is situated on the Equator. En-route you will stop at the Equator and experience an interesting experiment, Corolois Effect and also a photo opportunity with one leg in North and another in South Hemisphere. 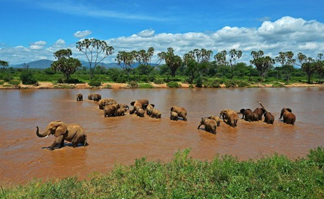 At Ol Pejeta you can view a variety of animals coming to the water hole, situated in front of the tents. Post afternoon refreshments proceed for game drive including visit to the Jane Godall Chimpanzee sanctuary. You also have an opportunity for night game drive (Optional). 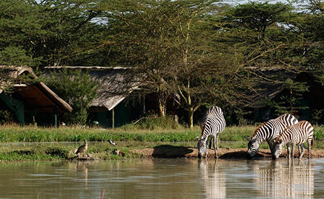 Stay at Sweetwaters Tented Camp. After breakfast drive to Samburu National Park. 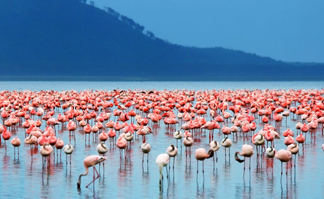 Situated further North, this is semi-arid region having exclusive wild life and bird life. You will reach for lunch. 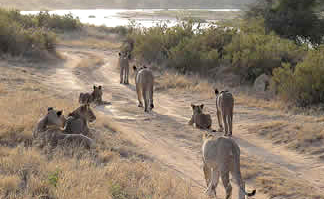 Post afternoon refreshments, proceed for evening game drive. Stay at Samburu lodge. Drive to Aberdare Country club, store your main bags & take lunch. Take overnight bags with you for stay at the Ark. You can watch variety of birds on the birds platform. Game can be viewed from the lobby, dinning room or even your room. Stay full board at The Ark. 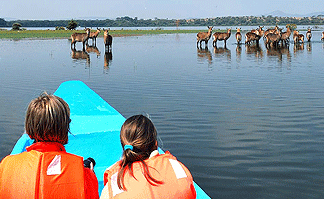 Early morning, check out and drive to Lake Naivasha for a boat ride. Take breakfast and then proceed to Masai Mara. Enroute you will visit Great Rift Valley view point. You will be reaching the lodge by early evening with enroute safari. Check in and relax for rest of the day. The Masai Mara Reserve is Kenya’s most precious wildlife sanctuary. This is big Game country and long famed as one of Africa’s greatest concentrations of game. Plains game is found here in staggering numbers, which in turn supports a tremendous predator population. Stay at Mara Serena Lodge. 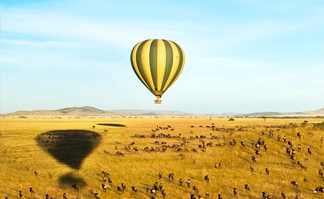 Those opting for balloon safari will have a sun rise balloon ride over the vast Mara plains, after which you will be given bush breakfast where the balloon lands and then join others who will already out for the safari from the lodge. Post lunch relax for some time and then proceed for evening safari. 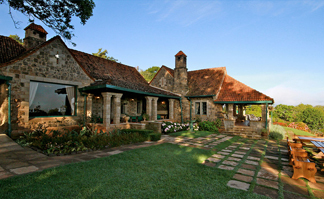 Stay at Mara Serena Lodge. Take breakfast and proceed to Nairobi with packed lunch. 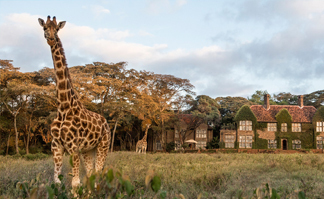 On reaching Nairobi, visit Giraffe Manor (time permitting) and proceed to airport to take the return flight to India.